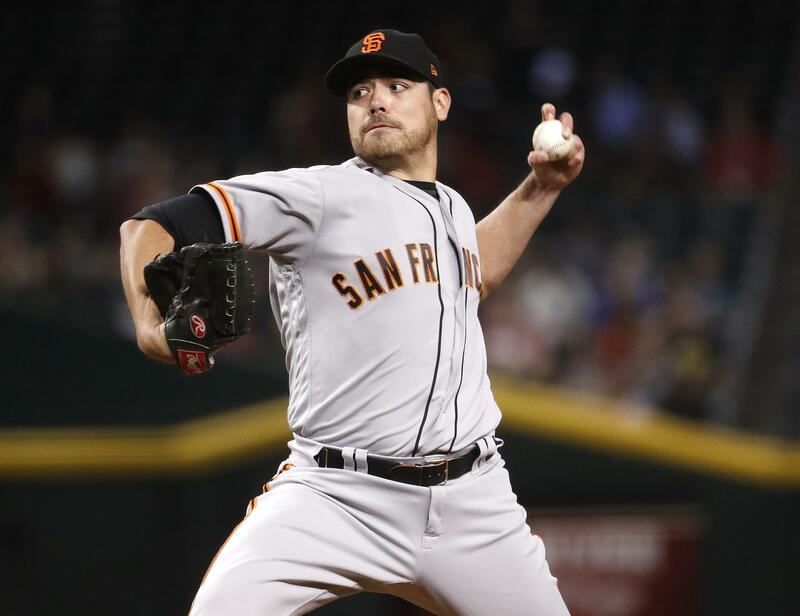 SAN FRANCISCO – The Giants have agreed to trade left-hander Matt Moore to the Texas Rangers for prospects, a person with direct knowledge of the negotiations said Friday. The swap was pending a physical, the person said, speaking on condition of anonymity because neither club had announced the deal. He would join a rotation with two other lefties in 13-game winner Martin Perez and Cole Hamels, who won 11 games this year. Right-hander Andrew Cashner, another 11-game winner, became a free agent after completing a $10 million, one-year deal with Texas. San Francisco acquired Moore at the 2016 trade deadline from Tampa Bay for third baseman Matt Duffy. The lefty’s best season came in 2013, when he was 17-4 with the Rays. The San Francisco Chronicle first reported the agreement. Perez and Hamels were the only holdover Texas starters when the offseason started. Counting Moore, the Rangers have added three options to their rotation. Minor was a reliever for Kansas City last season but previously was a starter for Atlanta before missing the 2015 and 2016 seasons with shoulder issues. Texas general manager Jon Daniels has said the club intends to use Minor as a starter. Published: Dec. 15, 2017, 6:18 p.m.